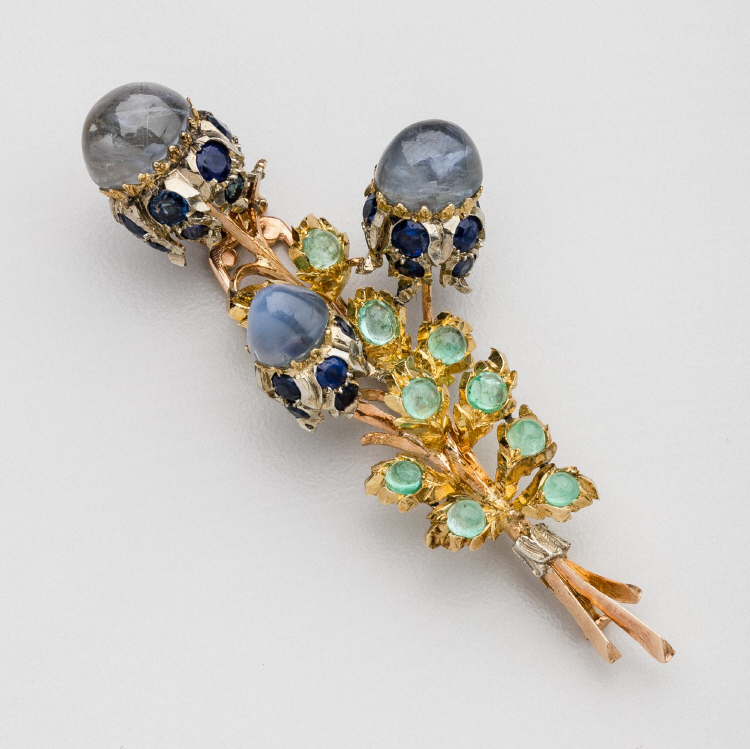 Buccellati Gold Floral Brooch with Sapphire, Emerald & Diamonds. 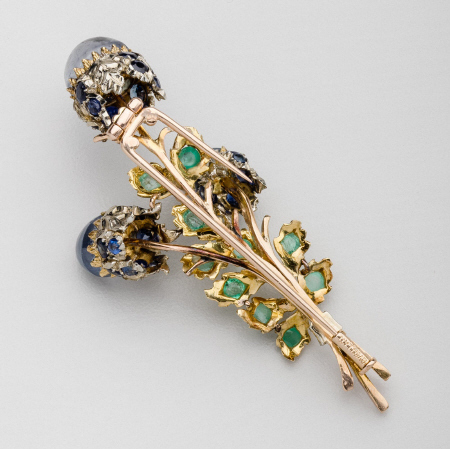 This brooch is 18kt yellow gold floral spray with cabachon sapphires and emeralds with faceted dark blue sapphires. 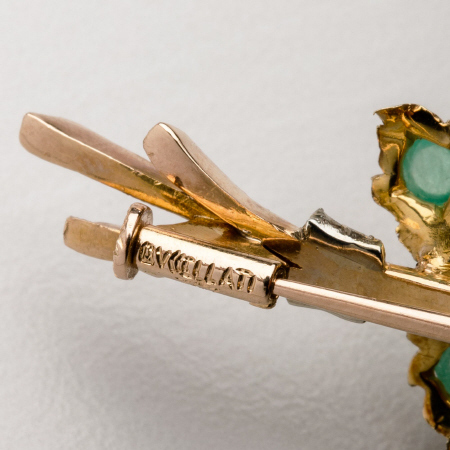 The brooch measures 2.625 inches long. The brooch bears impressed marks for Buccellati, 750. This brooch is in excellent condition.